This was my first time tried out this simple Chinese potato dish. 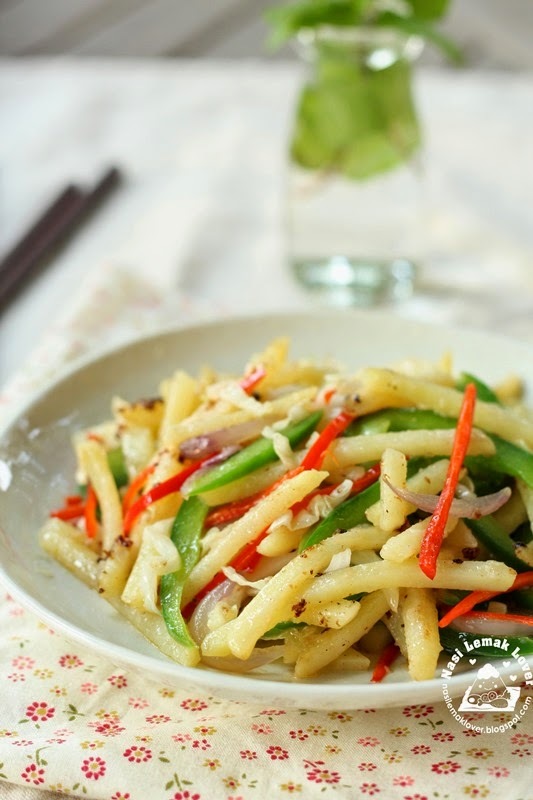 According to here, 洋芋叉叉 is a popular Chinese potato dish. I use the cast iron wok to stir fry this potato dish, and we can smell the smoky aroma (wok hei) ^_^. 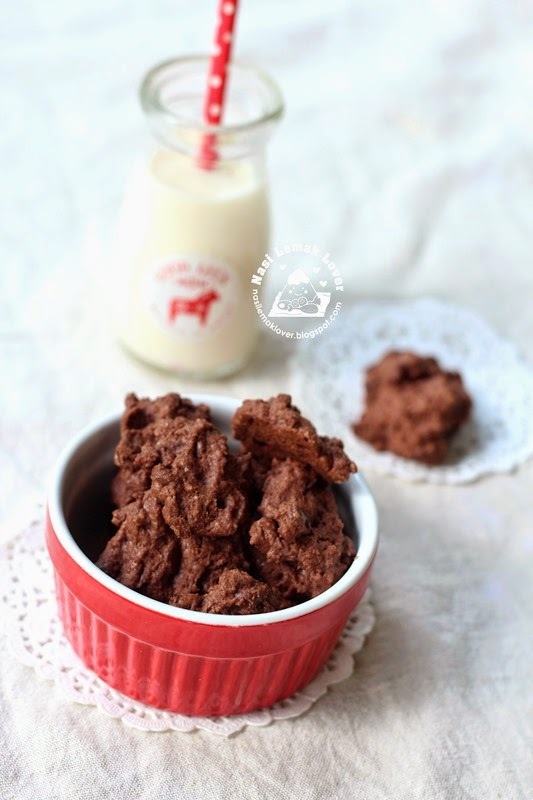 I made these mini chocolate chip cookies not because I am celebrating Hari Raya ( Muslim New Year) ^_^, just because my son has been requesting me to make his favourite chocolate chip cookies. 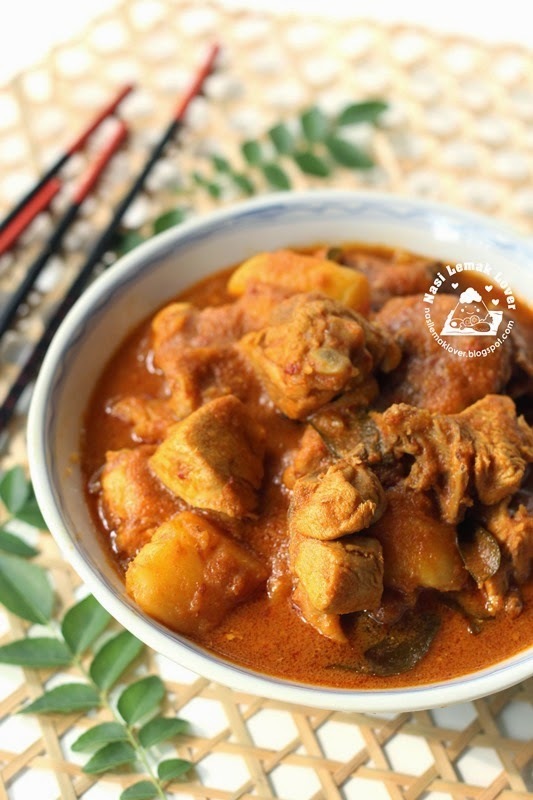 Since LTU theme this month is Potato, so I have to rush to put up this recipe chicken curry, and curry must have potato then taste better. I got this idea to cook this chicken curry using blue ginger after tasted a nice chicken curry from a Hainanese rice stall. Their chicken curry has a special aroma, after few times trying, then I confirmed that special aroma was from blue ginger. And this chicken curry is much healthy without putting coconut milk, but yet the curry sauce still taste creamy and thick, and yummy too. I was continuing to bring out those cupcake liners that have been sitting there for quite some time. 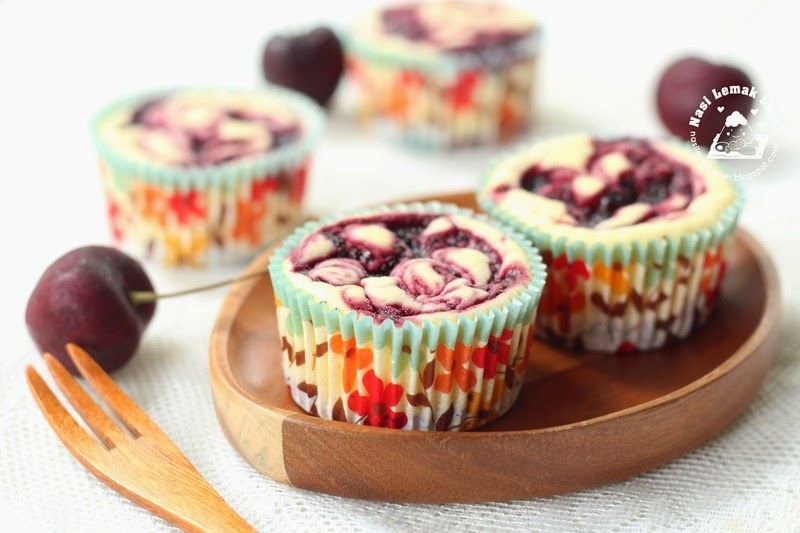 Looking at this floral liners, I got this idea making them into cream cheese cupcakes with fresh cherry. From a TV food show, I learnt that this 土匪雞翼 (direct translate become Bandit Chicken Wings) is very famous now in Hong Kong. 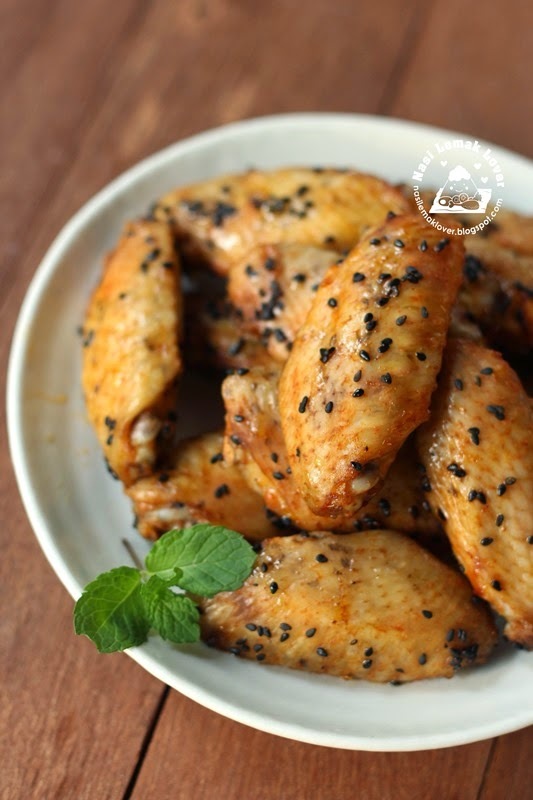 This roasted chicken wings using one of the most important ingredient in the recipe is Cumin powder 孜然粉. I don't know why this roasted chicken wings named as Bandit chicken wings , but according to here, those bandit robbers not only robbed luxury items but also household spices. The local people who stayed a few miles away can smell the nice aroma of the wings when the bandit robbers used the spices to roast chicken wings. Thus they would know those bandits were not far from them and they could take precautions of those bandits. When I met Gertrude (My Kitchen Snippets) during her trip back to MY on beginning this year. She gave me a Gnocchi board after she saw I made my first Gnocchi without a proper and classic tool. I am very appreciate for her kind thought. 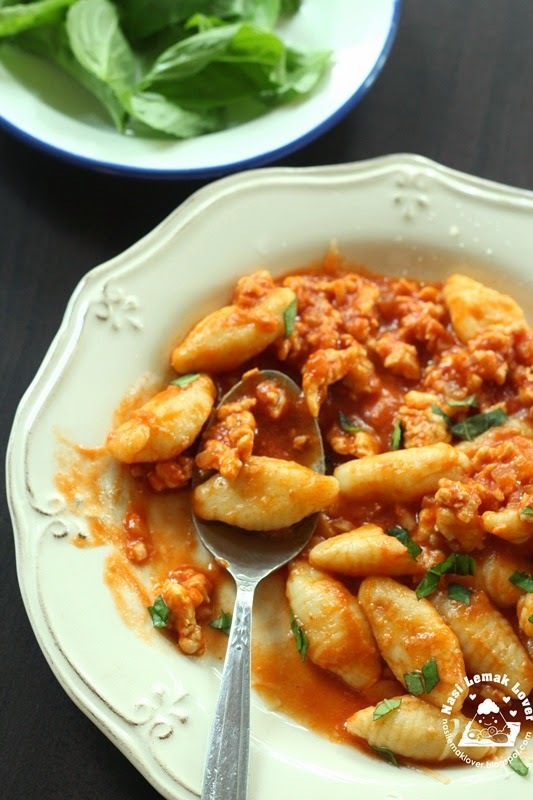 Since this month LTU is potato theme, so I have to make use of this good tool to make gnocchi again. 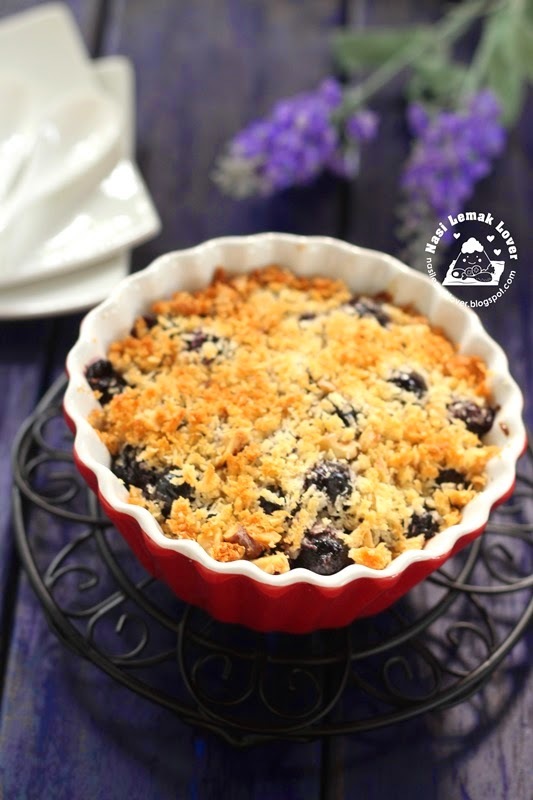 I was tried to search for a new dessert recipe using blueberries. Then I found this dessert called Blueberry Betty. Interesting to find out Betty is refer to a baked pudding made of layers of fruit and buttered breadcrumbs. 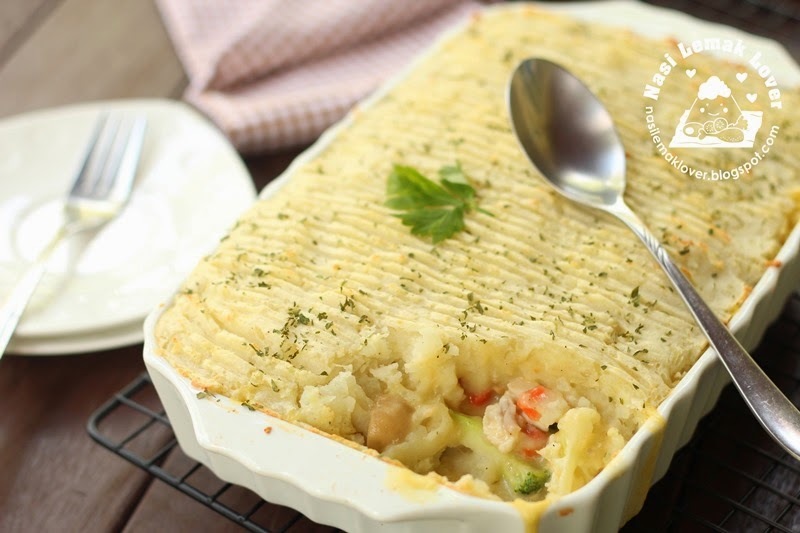 This chicken cottage pie was one of the recipe that featured in Y3K magazine last year. I usually prepare this for a quick lunch. This is not the first time I bake a strawberry chiffon. 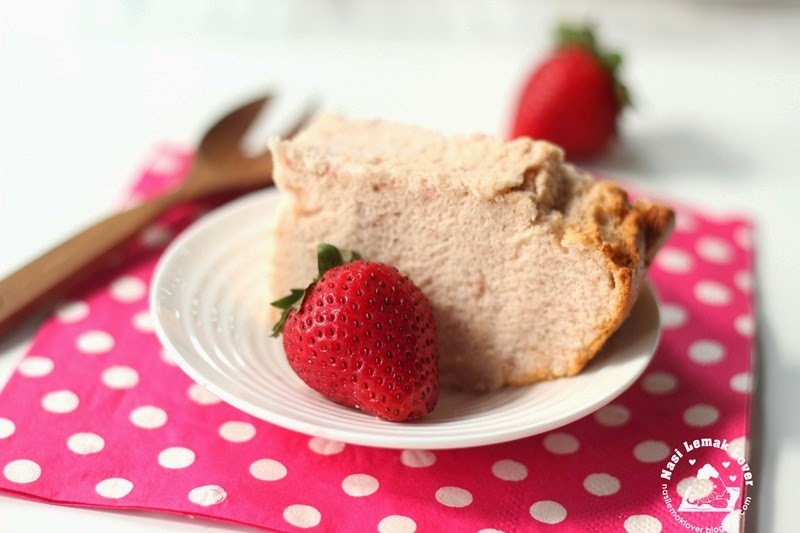 But this time I bake an all natural strawberry chiffon cake upon request by my son (his favourite chiffon cake). And I can tell you that using fresh strawberry to make this chiffon cake, the strawberry aroma is strong and taste naturally. Economic fried bee hoon (simple stir fried rice vermicelli) is a typical breakfast for Malaysian Chinese and I guess Singaporean also eating this way. The most economic version is just simple fried mee hoon, and pour with some curry sauce and sambal chili. 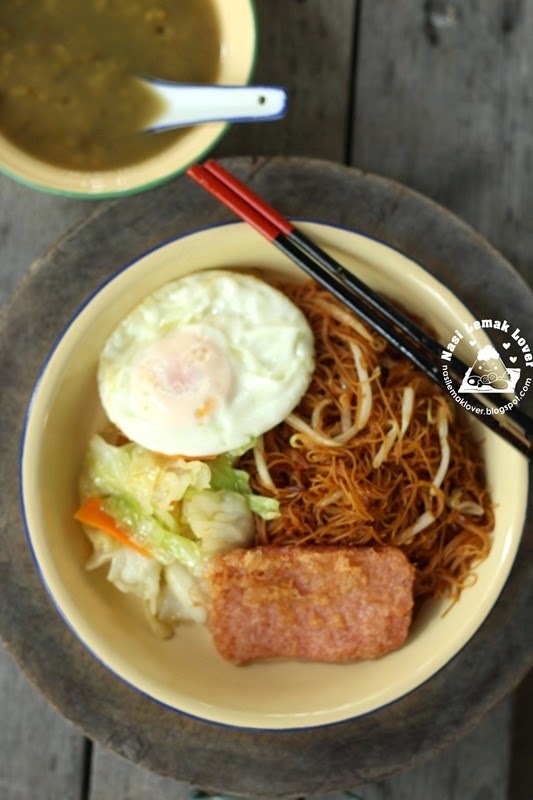 If you want more luxury version, you can ask to add fried luncheon meat, fish balls, sausages and fried egg with extra money. Like my version here is consider luxury version of Economic fried bee hoon ^_^. I got to know from a Japanese baking book about Rye bread (you can read here about nutrients of Rye). I was happy to find the Rye flour at the nearby bakery shop recently. I still use the preferred straight dough method from Champion Toast and add small portion of Rye flour to it. During Ramadan (fasting month), I am continuing cooking Malay cuisine. This time I get my hands on this Soto Ayam, one of the chicken soup that my family like. 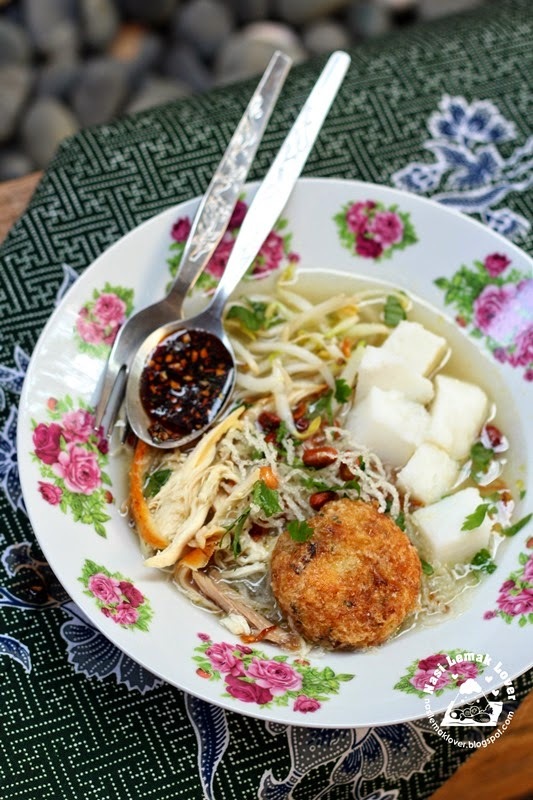 When we visit Malay's friend house during Raya (Muslim New Year), if we see they serve this Soto ayam, sure we enjoyed very much. During Ramadan month (fasting month), I always like to prepare some Malay cuisines. Yesterday I made Soto Ayam (Malay noodles soup) and it was well received by my family. 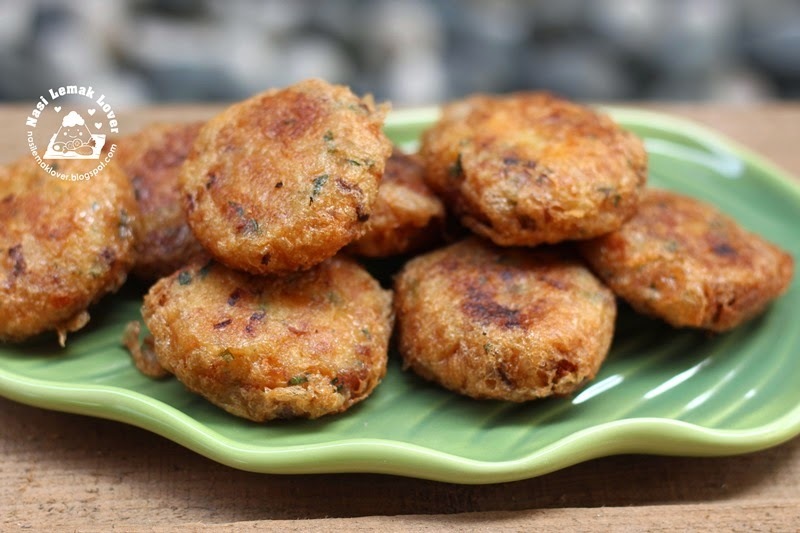 Today I share with you first one of the item to serve together with Soto, is this Bergedil, Begedil or Pegedil in Malay or potato patties . I always love hazelnut with chocolate combo. 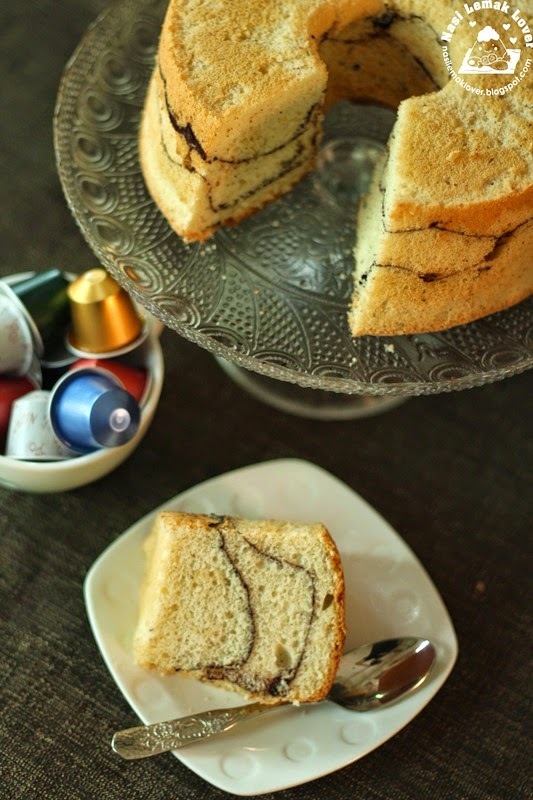 After made the Nutty Blueberry muffin, love the nutty cake base, and inspired me to use the nutty cake base to make this Nutty Chocolate chiffon. 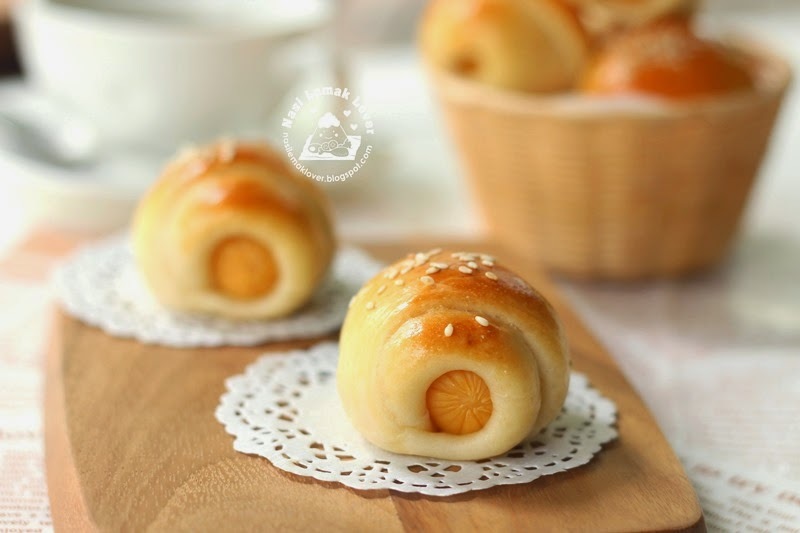 The other day I saw my sister bought some mini sausage bread rolls from a nearby bakery shop. She told me this sausage bread roll was good but it cost RM 1 for a mini roll. I told her next time I will make for her. 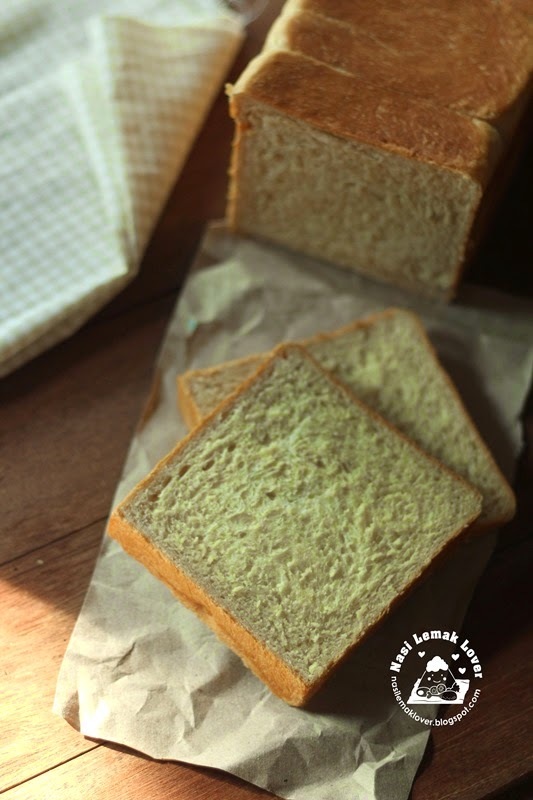 I love the texture of Champion toast recipe, so I use this recipe to twist it into basic sweet bread. As per what I expected, these rolls still stayed soft even kept till the next day. Furthermore this bread dough is easy to handle and it is a straight dough method.. 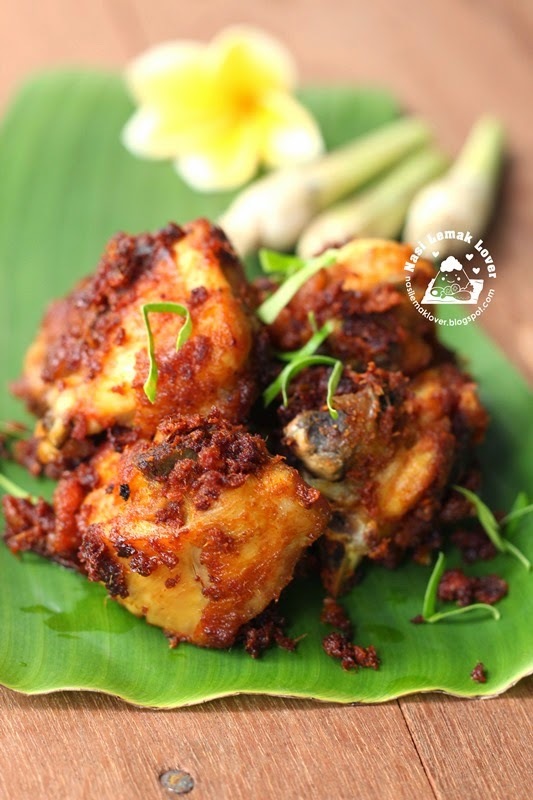 I love this type of Malay fried chicken, full of herbs and spices, so aromatic! Whenever I attending Malay wedding, I am sure looking forward to taste this Ayam goring berempah. Yesterday I prepared this chicken to go with nasi lemak, yum! 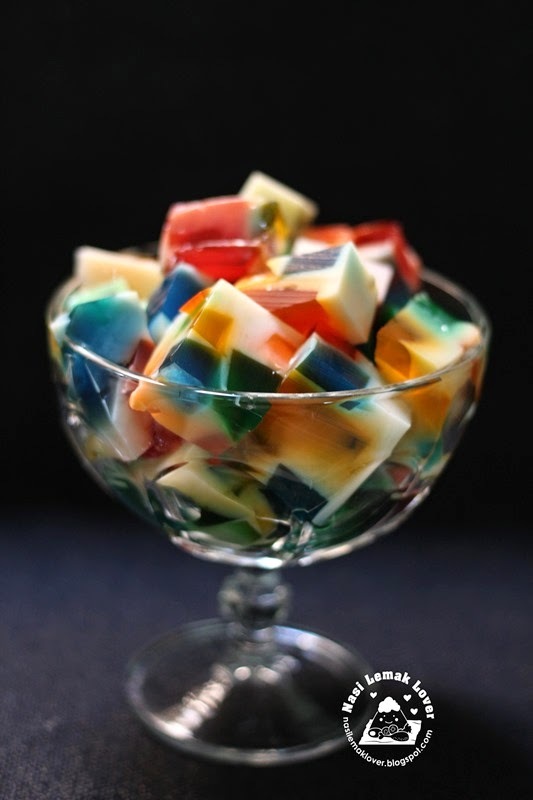 Some time it is fun to make this kind of colourful jelly, they look stunning and perfect to serve in a party.